Create and control your very own exercise regimen. Get your copy of Easy Exercises for Aerobic Fitness today! As you age, getting in shape is about much more than what you see in the mirror. By staying physically fit, you can add years to your life. And the best part is, it’s never too late to start a new fitness program! Introducing, Easy Exercises for Aerobic Fitness. This special report from the health experts at UCLA’s David Geffen School of Medicine will give you the tools to create and control your very own exercise regimen. Whether you’re just starting out, or already exercise regularly, Easy Exercises for Aerobic Fitness gives you everything you need to know about walking, running, cycling and any other cardiac exercise. Go at your own pace. Exercise alone, or with a group. Head outside, to the local gym, or even stay at home. You can easily incorporate many of the activities featured in this report into your daily routine. You’ll learn how to properly prepare for a workout, including what to eat beforehand and what to wear during. The report also contains information on many common injuries associated with aerobic exercise and how you can prevent, recognize, and treat them. As your level of physical activity increases, your risk of dying prematurely goes down drastically. Just four to seven hours a week can decrease your chances of dying prematurely by 40 percent. Aerobic fitness may be the most important aspect of physical fitness! 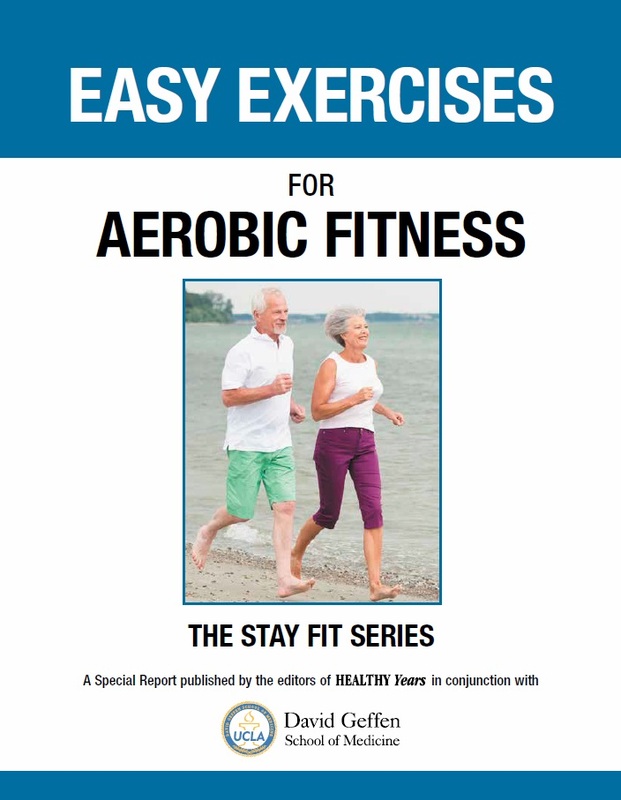 Get your copy of Easy Exercises for Aerobic Fitness today!